If you’ve ever tried to get medical records from your doctor’s office, you likely know how frustrating it can be. Even if you do get access, it may be in some strange barely-readable format you can’t make sense of. With iOS 10, you will be able to request those records directly from your iPhone, so long as your doctor has at least made a small step towards digitizing your paperwork. As it stands, medical records you get from a doctor are usually in a pile of papers or perhaps on a CD. If your doctor is digitizing your records, you may be able to access them online, but it may look jargon-y and unfamiliar because the standard for digitally keeping those records isn’t meant to be patient-friendly. HealthKit, the underlying framework for Apple’s Health app, will soon be able to request documents that adhere to the HL-7 standard for the exchange of documents between providers. The HL7 Version 3 Clinical Document Architecture (CDA®) is a document markup standard that specifies the structure and semantics of “clinical documents” for the purpose of exchange between healthcare providers and patients. It’s the very thing that makes your documents a bit difficult to read. Apps that tap into HealthKit will soon be able to request those documents, and display them in a format that makes sense to you. After the app gets the XML file, it can ‘decode’ it into a file you can make sense of. There won’t be a compromise on your security, either; apps that request documents must adhere to strict guidelines that prevent them from writing new data to records stored on the phone. Instead, each request is treated as a completely new document pull, so you can’t simply request to update a health record. The app won’t be allowed to request your personal documents as a background operation, either. If you don’t have an app that pulls your records, HealthKit will also be able to grab them via Safari or the Mail app. Though Apple didn’t go into its reasoning for this new feature, the company is bullish on making its Health app central to your well-being. If you can access important health records on your mobile devices, you’re probably more likely to use it. Similarly, Apple is opening HealthKit up to third party apps a bit further. If your doctor’s office had its own app, it could tap into the activity rings view as well as provide your health records. 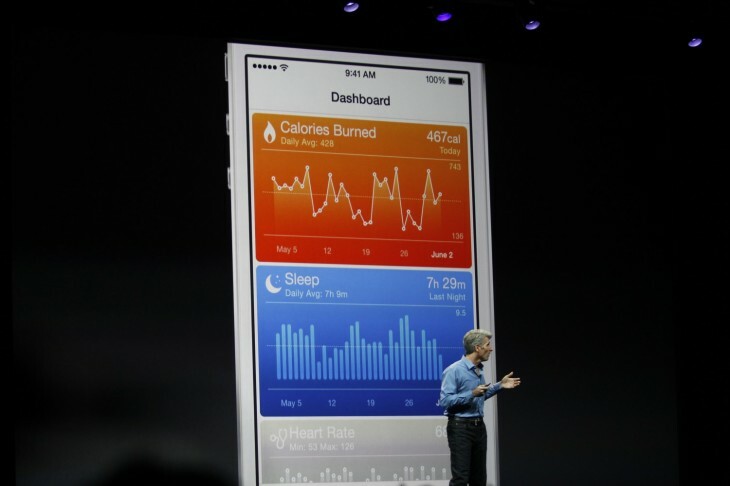 While that’s not the Health app proper, it’s still HealthKit. A CDA can contain any type of clinical content — typical CDA documents would be a Discharge Summary, Imaging Report, Admission & Physical, Pathology Report and more. The most popular use is for inter-enterprise information exchange, such as is envisioned for a US Health Information Exchange (HIE). Though its described as good for transferring documents from provider to patient, HL-7 is also discussed as a way to exchange information internally. If your healthcare provider were a monolith of red tape, it might be difficult to even get your records — much less in a timely fashion. Similarly, some types of medical documents (like those relating to mental health) are not always made available. Still, it’s a positive step forward. Even if you’re not using the Health app or HealthKit via a third party app, chances are moves like this will make you want to. And by the time we’re all old and seeing the doctor more than our grandkids, who knows how vital HealthKit will be to our day-to-day lifestyle.